Home » Blog » What are Delayed Injuries? Adrenaline is a self-defense mechanism that protects our bodies in life-or-death situations. One of the greatest benefits of adrenaline is that it gives us the superhuman ability to resist pain. While beneficial in the moment, this can cause a person to be temporarily unaware of the extent of their injuries until days or weeks later. Continue reading to learn more about the symptoms and common forms of delayed injuries. 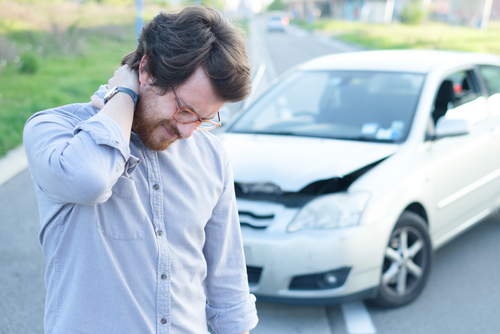 We’ll also discuss what you should do if an accident results in a delayed injury. If you experience any of these symptoms, then it’s advised that you get checked out by a doctor as soon as you can. Many of these issues are very serious, and they require prompt medical intervention. Traumatic brain injuries, internal bleeding and blood clots can all cause permanent problems when they aren’t recognized in a timely manner. It may seem unbelievable that someone with a traumatic brain injury could continue functioning normally for several days until their symptoms become more pronounced, but it’s true. It happens more often than we’d like to think, so it’s always important to have a comprehensive medical evaluation after a car accident. What Should I Do If I Have a Delayed Injury? These three actions will protect your rights in the event you do need to pursue a personal injury lawsuit in the future. Did you or a loved one sustain serious injuries in Florida? Don’t let the medical bills pile up while you wait for the negligent party or their insurance company to do the right thing. Right now, you need an aggressive personal injury attorney on your side, fighting to get you the compensation you need, want, and deserve. The skilled attorneys at Lawlor, White & Murphey represent clients injured in Fort Lauderdale, Naples, Venice and throughout Florida. Contact us by calling 954-525-2345 or email us to schedule a free consultation about your case. We have an office conveniently located at 2211 Davie Boulevard, Fort Lauderdale, Florida.